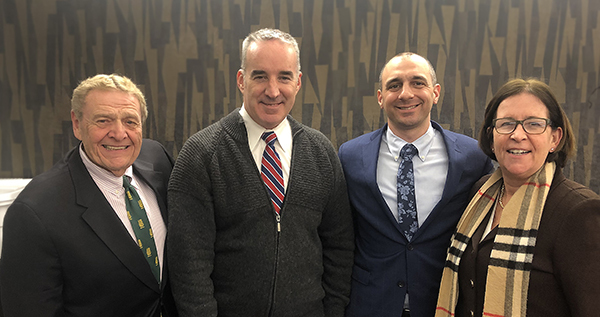 CRANFORD – At the January 22, 2019 meeting of the Union County College Board of Trustees, Daryl Palmieri and General Edward J. Chrystal, Jr., both of Scotch Plains, were sworn in as Trustees. 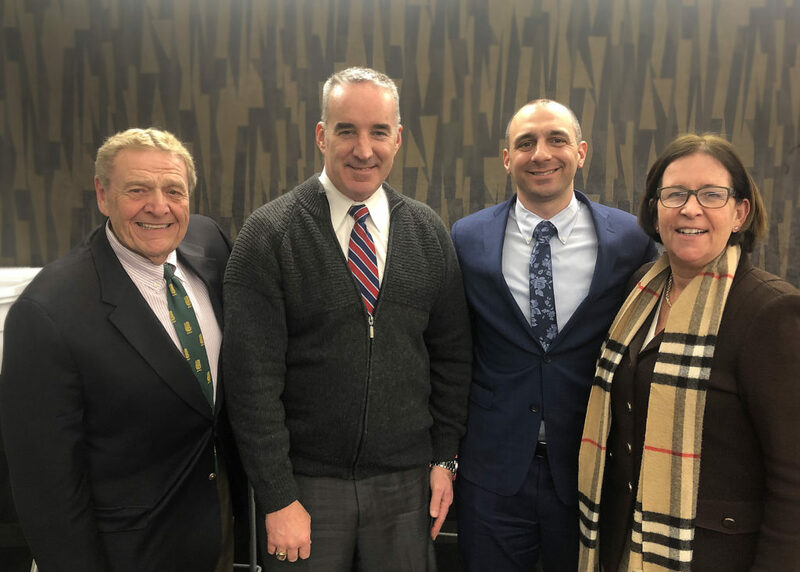 Union County College Board of Trustees Chair Victor M. Richel welcomed Mr. Palmieri and General Chrystal to the meeting and initiated their swearing in. Daryl Palmieri is the Interim Executive Superintendent of Union County Schools. In this position, he works for the NJ Department of Education and oversees the Union County Office of Education. The County Office’s responsibilities include performing onsite evaluations of school districts every three years in accordance with the NJ Quality Single Accountability Continuum (NJQSAC), reviewing and approving district budgets, and reviewing and approving district administrative contracts. Mr. Palmieri has been a physical education teacher for 17 years and has served as head coach for the boys’ basketball team at Westfield High School since 2011. He holds a master’s degree in educational administration and supervision from Kean University, and a Bachelor of Science degree from Manhattan College in physical education. At Manhattan College, he was a member of the men’s basketball team and Phi Epsilon Kappa National Honors Fraternity for Physical Education. Edward J. Chrystal, Jr., is a Brigadier General for the New Jersey Army National Guard. As Brigadier General, he was responsible for the management of the response and support operations during Hurricanes Irma, Harvey, Sandy, Irene, Katrina, and Floyd. For his work, he received multiple accolades including the Bronze Star Service Medal and the Meritorious Service Award. General Chrystal is employed by the New Jersey Department of Military and Veterans Affairs as the Superintendent for Veterans Haven North, a New Jersey state transitional facility for homeless veterans. He is responsible for more than 100 residents and a staff of counselors, kitchen and maintenance workers, and members of the administration. Previously, General Chrystal was a member of the New Jersey State Police and retired at the rank of Lieutenant. He holds a Master of Science in Strategic Studies from the United States Army War College, and from Seton Hall University, he holds a Master of Arts in education administration and a Bachelor of Arts in criminal justice. “Both Superintendent Palmieri and General Chrystal are pillars of the community. Superintendent Palmieri’s experience as an educator and a coach will be a valuable perspective. General Chrystal’s service to our country and past leadership experience brings beneficial insight to the Board, and we are happy to welcome them,’” stated Union’s Board of Trustees Chairman Victor M. Richel. 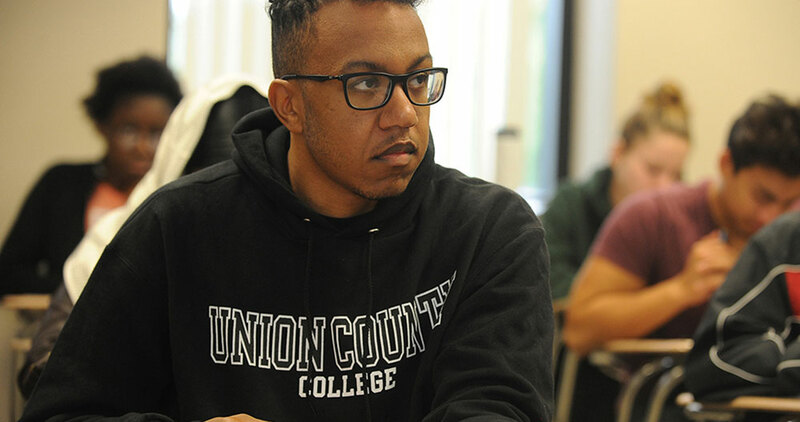 Union County College is a public comprehensive community college providing quality, affordable, accessible educational programs to the greater Union County region. It is the first of New Jersey’s 19 Associate Degree colleges, serving both career-minded and transfer-oriented students since 1933. The College enrolls almost 20,000 credit, non-credit, and continuing education students and is accredited by the Middle States Commission on Higher Education. Many programs lead to an Associate in Arts, Associate in Science, or an Associate in Applied Science degree. For more information about Union County College, go to www.ucc.edu. Union County College Board of Trustees Chairman Victor M. Richel, General Edward J. Chrystal, Mr. Daryl Palmieri, and Union President Dr. Margaret M. McMenamin.